Ride 30 hours in 16 days. The first half of the international road racing season is drawing to a close. The pros have tanned their way around Adelaide at the Tour Down Under, bounced their way through Northern Europe in the Spring Classics, and splashed their way across Italy during a very wet Giro d'Italia. Now, it's time for a final tune-up in advance of the season's crescendo - Le Tour. 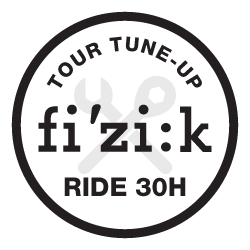 fi'zi:k and Strava are challenging you to ride 30 hours between June 8th and June 23rd. Just like the pros getting ready for the Tour at events like the Critérium du Dauphiné or the Tour de Suisse, this is your chance to put the final touches on your fitness to ensure you are ready for a very demanding July. Riders that cover the entire 30 hours between June 8th and June 23rd will receive a digital finishers badge on their dashboard. There will be a participant t-shirt available to anyone who joins the Challenge, and an exclusive finisher t-shirt available for those that complete the 30 hour goal. Check back here once the Challenge begins for more details (including a preview of the designs). An email will be sent during the week of July 1st which will contain a link to purchase the t-shirt. It will retail for $20 just like the orange Strava T-Shirt on sale in the Shop today. All activities logged during the Challenge period must be uploaded to Strava no later than June 26th, 2013. 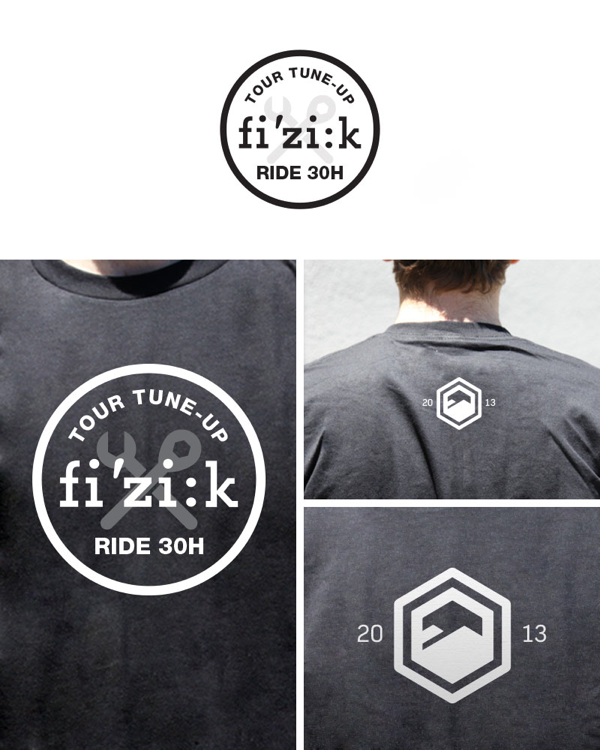 Strava (“Sponsor”) is pleased to introduce the fi'zi:k Tour Tune-Up (the “Skill Challenge”) made available at www.strava.com (the “Site”). As a condition of participating in the Skill Challenge, entrant (“You” or “Your”) agrees to be fully and unconditionally bound by these Official Rules and the decisions of Strava, whose decisions shall be final and binding in all respects, and to waive any right to claim ambiguity in the Skill Challenge or these Official Rules. You may enter the Skill Challenge by going to the Site on or before 6/23/13, clicking on the corresponding Skill Challenge URL that will direct You to the Skill Challenge landing page, where You will be entered into the Skill Challenge by clicking on the Join button. Starting from the day the Skill Challenge begins on 6/08/13, you have until 6/23/13 to ride 30 hours. Each activity (Ride) must be logged on the Site and cannot be inputted manually. For more information regarding how to log activities on the Site, please see Strava’s How It Works page (http://www.strava.com/how-it-works). If You successfully log 30 hours of riding between 6/08/13 and 6/23/13, You will be a prize winner, subject to Sponsor’s verification. Any form of entry and participation in the Skill Challenge other than that described herein is void. Sponsor will announce the potential winners of the Skill Challenge within one (1) week after the conclusion of the Skill Challenge on 6/23/13. All potential winners will be notified via the email address associated with the potential winner’s account and will be posted on Sponsor’s Site (http://www.strava.com/challenges/fizik-tour-tune-up). Prizes will be deemed to have been won when all conditions in these Official Rules and accompanying Terms (http://app.strava.com/terms) are met. To obtain the names of the winners, any person may mail a self-addressed, stamped envelope after 30 days from the conclusion of the Skill Challenge to 500 3rd St, Suite 110, San Francisco, CA 94107. Attn: Winners’ List. Requests must be received no later than three (3) months after the conclusion of the Skill Challenge. You have not yet won a prize. The actual odds of winning any prize will depend upon an entrant’s ability to complete the Skill Challenge. Skill Challenge ends on 6/23/13. See Official Rules above for entry requirements and complete prize restrictions. Sponsored by Strava,500 3rd St, Suite 110, San Francisco, CA 94107.